Ah, young adult fiction, that fertile crescent of storytelling where any plot device or genre convention, no matter how hoary, can be given new life by the insertion of a misunderstood teenage dreamboat with soulful eyes. 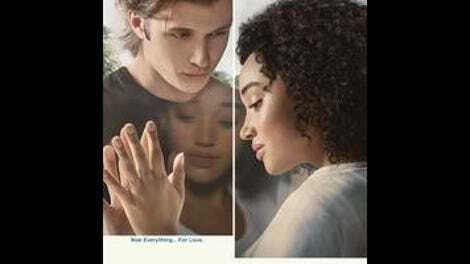 In the case of Warner Bros.’ new teen tearjerker Everything, Everything—based on the YA novel by author Nicola Yoon—the inspiration is a weird one: It’s essentially a multiracial, digital-age update of the 1976 TV movie The Boy In The Plastic Bubble, with The Hunger Games and Mr. Robinson’s Amandla Stenberg in the John Travolta role and Jurassic World’s Nick Robinson as the (literally) untouchable boy next door. Stenberg stars as Maddy Whittier, an 18-year-old girl who hasn’t left her immaculately clean, Scandinavian-furnished home in the suburbs of Los Angeles since she was only a few months old. Maddy suffers from a collection of symptoms known as severe combined immunodeficiency, or SCID, a rare genetic disorder that results in an immune system so weak that it essentially doesn’t exist, forcing patients to remain confined in a strictly sterilized environment. Maddy makes the best of it, Skyping with other kids with SCID and taking architecture classes online so she can build dioramas of restaurants and libraries that she can never visit. 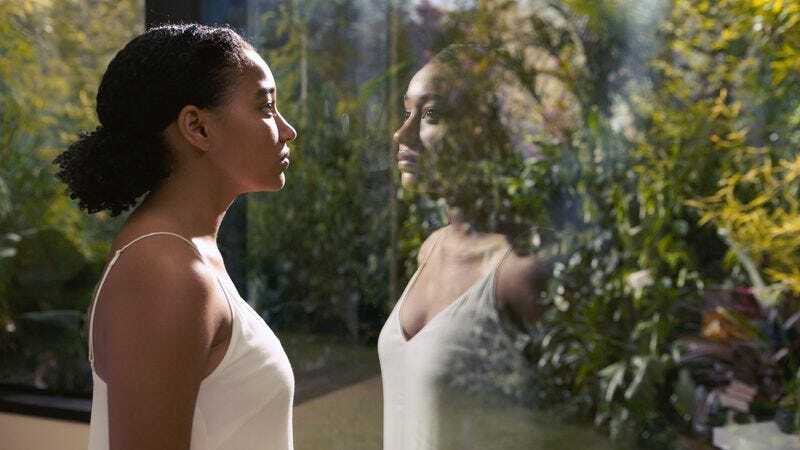 More importantly, she’s never really felt the urge to leave the house—an attitude encouraged by her paranoid, fussy physician mother, Pauline (Anika Noni Rose), and her doting nurse, Carla (Ana De La Reguera), the only people allowed to come near her. That all changes, however, when Maddy catches a glimpse of gangly, black-T-shirt-clad loner Olly Bright (Robinson) climbing out of a moving truck next door. Soon, Olly and Maddy are spending their evenings furiously texting each other their hopes, dreams, and life stories—a tricky plot point to translate cinematically, though director Stella Meghie handles it better than most—leading Maddy to first invite Olly into her hermetically sealed world and then to venture outside for a Hawaiian adventure financed by a secret credit card, potentially life-threatening consequences be damned. The idea that Maddy would risk it all for love isn’t an unexpected development (at its heart, this is essentially just a fairy tale about a princess trapped in a castle), and neither is the big twist that comes toward the end of the film. Perceptive viewers will notice that certain details don’t add up quite early on, raising questions about Maddy’s own powers of observation. But that’s really not that big of a deal, given the film’s target audience. If you’re spending the running time of a movie like Everything, Everything being annoyed by plot holes rather than swooning over every chaste kiss and meaningful look, you’re probably too old and cynical for it anyway. And the film does have its charms. The outside world, when we do reach it, is as gorgeous for the audience as it must appear to someone seeing it for the first time. Meghie finds cute, creative ways to dramatize Maddy and Olly’s online exchanges, shrinking the characters down for imaginary meetings inside Maddy’s dioramas. Maddy is a smart, plucky, stylish-but-age-appropriate heroine, and for all of his ostensible brooding, Olly is a sweet, gentle kid who wants her to be happy and safe. The fact that their romance is an interracial one is never an issue, and Maddy shows full agency in the thoroughly mild love scenes. It’s a utopia, in other words, where no one worries about money or prejudice or much of anything, except for that one big thing that defines the narrative. It’s safer inside the bubble, after all.